Extend the power of your CRM and manage your communications from anywhere with the mobile app, CloudCall Go!. Go! is the perfect solution for users who are constantly on the move and need a simple and flexible app to access their CRM contacts. 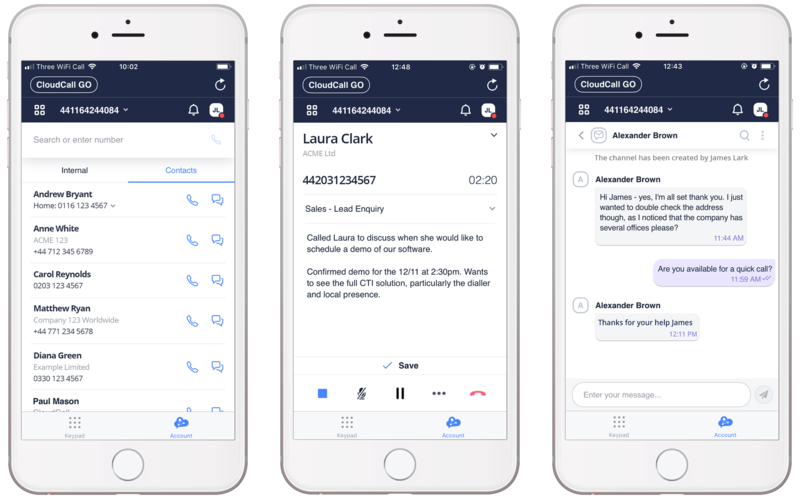 CloudCall provide Unified Communications solutions that tightly integrate with CRM systems, which allow businesses to log all of their communications, whether it is voice, IM or SMS. By linking communications tools with the customer data held in a CRM, businesses can use critical insight and intelligence to make decisions faster and undertake more targeted and accurate interactions to increase productivity and drive business performance.